Seo or search engine optimization is the fulcrum of a online business. Online business of any kind like blogs, online store or e-communities depends upon traffic to sustain and thrive. I personally consider paid traffic as a good option as a starter for online stores and ecommerce sites but largely, seo is the bread and butter for online businesses. So if you are blogger or webmaster, seo is the lifeline of an online enterprise. In my last two posts, I have talked about seo tools for 2013 and best books to learn seo, but if you are looking to begin with seo, then first thing first, seo is a time consuming process which requires resources, dedication and patience from your side. So don’t consider seo as some black magic trick which will blast your site with millions of visitors. reaction from the search engines especially Google which have been constantly updating their search algorithm to counter spamming. Seo is a step by step process which has become somewhat more complicated in the last year or so. it is advisable to use some seo tool to perform seo activities and follow the “step by step” approach in order to improve your search rankings and yes, don’t forget it will take some time before you see results. So, patience is the virtue in SEO. Now let’s go through the basic overview of seo process so that you know “where to start” and “where to end”. Keyword research – all seo campaigns must start with keyword research. Keyword research defines the target of your seo campaign. You should try to target keyword with low competition. If you want to know about the tools which you can use to do keyword research, please refer to post on seo tools. Minimum number of words in the post, for example suggested minimum limit is 300 words but ideally it should be close to 500 words or above. Social triggers like number of shares on social networking sites like facebook, Twitter etc. Most of the time, you will find it hard to satisfy all these factors for complete on page optimization. But nonetheless, you should try to satisfy as much as possible without compromising the quality of the posts. You can also use some plugin like seopressor to manage on page optimization if you are using wordpress. For more comprehensive seo tool to manage overall on page or off page optimization, you can use tools like SEOProfiler. Number of back links with their quality and anchor texts. Social media marketing which could be considered as a separate subject also but as it is important to generate good traffic for any website, I have included that here. Most of these activities require full time campaigns in order to achieve significant results so I am not explaining them individually. All the topics mentioned under off page optimization and on page optimization are huge and need campaigns at full scale. 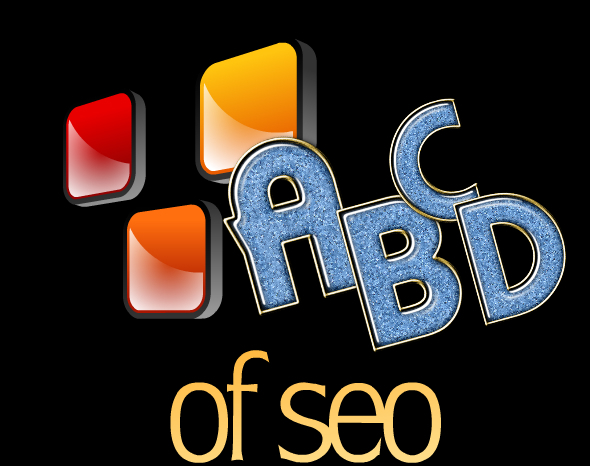 That is why I have initially mentioned that it’s better to use some seo tool to perform these actions. Search engine optimization is not impossible but also not very easy. This post is meant for beginners or those who want to know the list of topics they need to cover to begin with. If you have been blogging for some time, then I am sure you are aware of these SEO techniques. If you use correct set to tools and move in right direction, you can achieve desired results. Please leave your comments to help us in understanding your requirements and needs. Do share it with your friends if you have liked it. Informative post and these is the worth information to learn more about seo. I know little bit about competitor analysis it will helps to improve your site and you can learn many things from your competitor.I always love to do social media marketing because it will brings more traffic.Thanks for share such a interesting post with us. Sorry Sumit, i am not familiar with their policies so i have sent them a query and i will let you know. Suppose if i have two domains Can i host two domains from a single hosting plan? can you tell me the name of your host? These are the basic tips which should be followed by every webmasters. If you are using WordPress I would suggest you using seo plugins like all in one or wp seo. Hi Akhil, as always one more nice post, specially for newbies who just putting their first step and thanks that you strictly prescribe a unique and valuable content. By the way one thing that knew about off page optimization is that robots.txt falls under which category. Thanks for sharing with us. Hey Ranjan, glad you liked it. Robots.txt is placed in the directory which simply guides search engines, it has to do nothing with the way a web page is organized which includes it’s various elements. So i have kept that under off page optimization. Thanks for sharing your comment, i am sure it will clear a lot of air. wil you please me that some of the hosting companies tell that we can host unlimited domains.What does it mean properly. Can i host 2 or more websites on a single hosting package? Hey Sumit, that’s a nice question which i haven’t seen any other individual asking me, it depends upon the hosting account like shared, vps or dedicated and the hosting company. I have 4 domains hosted on 1 vps account with hostgator. So it depends, you can send a mail to the customer support of your preferred host asking this though i think if your package allows multiple domain then there should not be any issue.